Tinnitus is the perception of sound in the ears or head where no external source is present. It is referred to as “ringing in the ears” or “head noise.” The sound heard by persons with tinnitus can only be heard by the affected person. People describe hearing ringing, hissing, screeching, static, roaring, buzzing, electric tones, ocean waves or music. Patients may hear the sounds continuously, temporarily or intermittently with varied volume range. The American Tinnitus Association reports that over 50 million Americans may be affected by tinnitus, of which are about 12 million severe cases. There is also a significant number of persons that suffer from serious debilitation where they are unable to function normally. The exact physiological cause or causes of tinnitus are not known. There are, however factors which are known to trigger or worsen tinnitus, these include: noise-induced hearing loss, wax build-up in the ear canal, certain medications, and ear or sinus infections or other disorders. Exposure to loud noises can permanently damage and kill hair cells, called cilia, in the inner ear resulting in hearing loss. Approximately 90 percent of all tinnitus patients have some level of hearing loss. The condition can affect anyone and at any age though its more common in adults. Ginkgo Biloba is an herbal remedy effective in easing the symptoms of tinnitus. It works by dilating the blood vessels and improving the circulation of blood to the ears especially the inner ear. Improved blood flow will help to control the ringing heard and also do away with dizziness. Vitamin B is a popular tinnitus remedy as is A, E and zinc. Vitamins are essential to fighting deficiencies in the body. Curb certain habits as a natural remedy for tinnitus. Stay away from excessive amounts of caffeine, smoking and alcohol. avoid foods like saturated fats, dairy products, sugar, salt, processed foods and so on because all these food items tend to aggravate the condition. 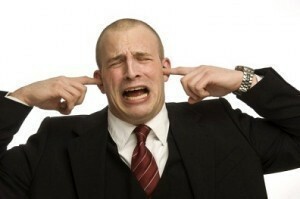 Avoid loud noises, which can aggravate tinnitus. Wear earplugs or headphones to tone down noise and protect the ears. Stress was found to make tinnitus worse. So, relaxation and stress management techniques are natural tinnitus remedies. Deep, slow breathing is one safe way to ease tension; however there are countless techniques available to reduce stress. Massage the affected ear area to increase blood flow. A hot compress can also the applied to the neck before retiring to bed. Tinnitus masking is a natural remedy that can be applied. It works by using music or other soothing sound such as the flow of water as in a shower to mask the tinnitus sound in the ear. Persons can have tinnitus relief with alternative treatments such as acupuncture, sacral therapy, magnets, hyperbaric oxygen, or hypnosis. An effective home remedy is to mix 1 teaspoon of salt and 1 teaspoon of glycerin in 1 pint of warm water and apply solution to each nostril using a spray bottle; the solution should drain into the back of the throat. Use thrice daily for three days.